As thousands of motorists hit the road this Undas, Chevron Philippines Inc. (CPI), marketer of the Caltex brand of top-quality fuels and lubricants, is providing free vehicle checkup, motorists assistance, emergency response, extra rewards points, and even free tank-full of fuel with their exciting Liter Lottery Promo. Amazing value await customers with class 1 vehicles who will purchase a full tank of any Caltex with Techron fuel products from 8:00 a.m. to 5:00 p.m., from October 27 (Thursday) to November 2 (Wednesday). If the last digit of the liter meter matches the last digit of the customer’s plate number, the customer will get the fuel tank for FREE! All customers with a full tank purchase will automatically qualify for the Liter Lottery Promo. Aside from the chance to win a free full tank, every gas up of Happyplus and Robinsons Rewards Card holders from October 27 to November 2 will get double loyalty points. 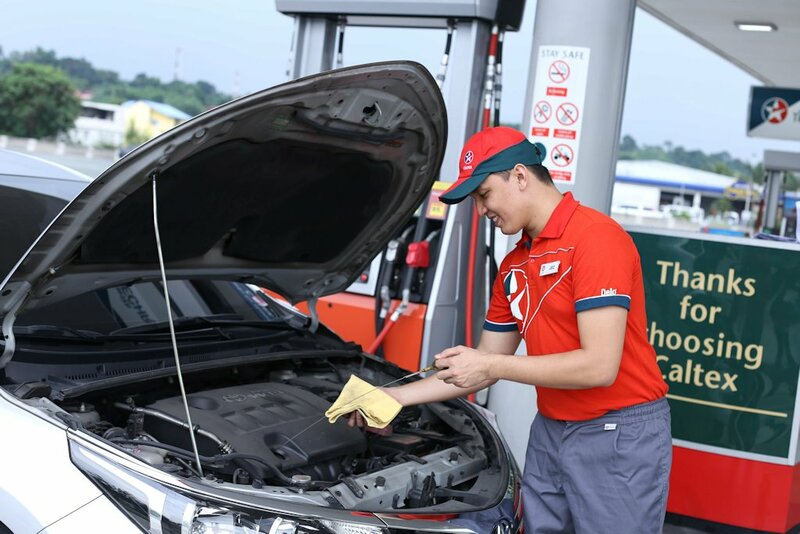 From October 28 to November 2, Caltex customers can also enjoy special services such as free check-up and other maintenance services from the Toyota and Isuzu tents to ensure that their vehicles are truly safe and ready for the long trip ahead with the whole family or barkada. Red Cross Philippines will also be providing free medical services in case of emergencies and other untoward events to fully ensure the well-being of Caltex motorists this season. and Caltex Tagaytay (Tagaytay Junction, Tagaytay City, Cavite).